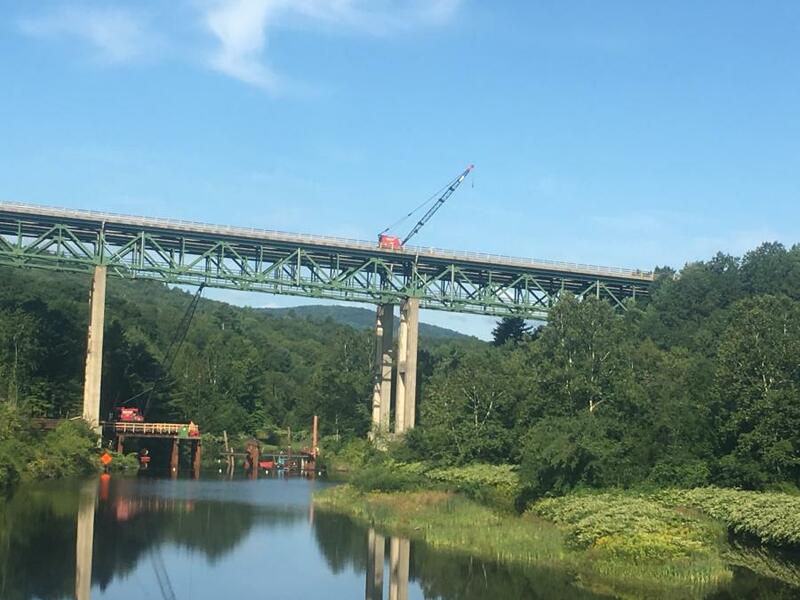 In Windham County, Vt., construction crews are making significant progress on the $44 million Rockingham Bridge 24N and 24S project, which will replace the existing bridges with two new structures. The current bridges were constructed in the early 1960s and rehabilitated in 1988. Bonneau noted that the work is being performed in phases, with set timelines. Golden Hill Road activities include continued truck traffic delivering bridge material and equipment, along with construction work on the temporary trestle across the river and work on the access road under the bridge. As far as the impact on motorists, through traffic on Interstate 91 is reduced to one lane in each direction. Drivers merging onto I-91 northbound from Exit 6 have been advised to use extreme caution. Reed & Reed Inc. of Woolwich, Maine, serves as the general contractor for the project, which is 90 percent federally funded, with the state making up the difference. Bonneau said it's very encouraging to see the work moving forward, adding that, to date, weather has not been a factor. The site was lightly vegetated within the project limits, with limited access. 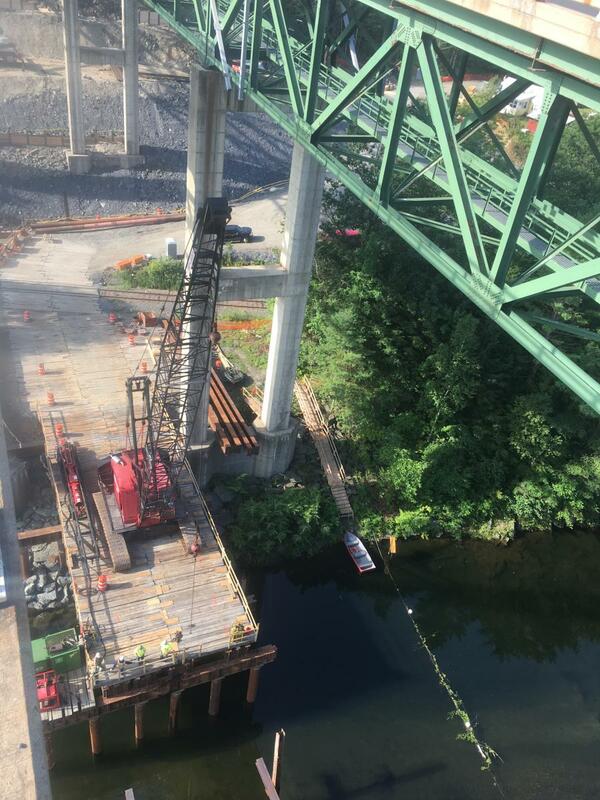 According to Daryl Bassett, resident engineer of VTrans, the demolition of the existing bridges is one of the biggest challenges of the project. The new structures will be two distinct bridges, with individual substructures. The main concrete bridge girders will range in length from 96-ft. to 145-ft., and vary in depth from 6 to 10 ft. These will be transported to the site with trucks using trailers with a steerable dolly. The pieces will range in weight from 144,920 to as much as 186,920 lbs. The main equipment being used on the job includes cranes, excavators, pile driving hammers and dump trucks. Steel piles for substructure support and cast in place concrete and reinforcing steel for the substructures also will be required. Stainless steel reinforcing steel will be used for the deck and f-shape barrier to increase service life. 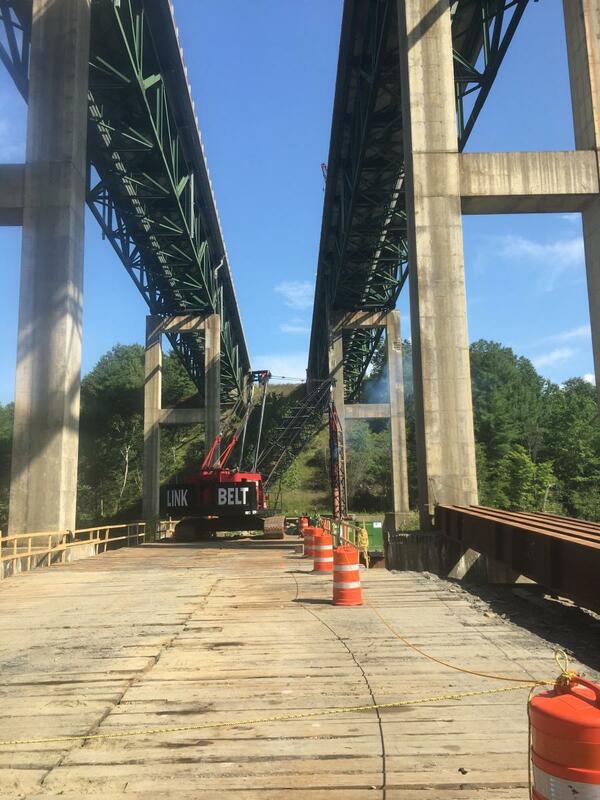 VTrans has developed a Base Technical Concept (BTC) for the project, consisting of two new cast-in-place segmental concrete box girder bridges, each 880-ft. long. The most time-consuming work has been the construction of access roads and temporary work required to demolish the existing bridges and then construct the new bridges. As the project continues, traffic will be diverted utilizing median crossovers, which will reduce the northbound and southbound interstate barrels from two lanes to one lane in each direction. Radar feedback signs, conflict warning systems, uniformed traffic officers, appropriate signage etc., and a smart work zone are utilized to ensure the safety of the traveling public and workers. Work officially began in May of 2017 and is expected to be completed by June 2020.